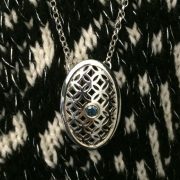 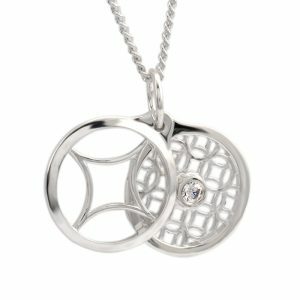 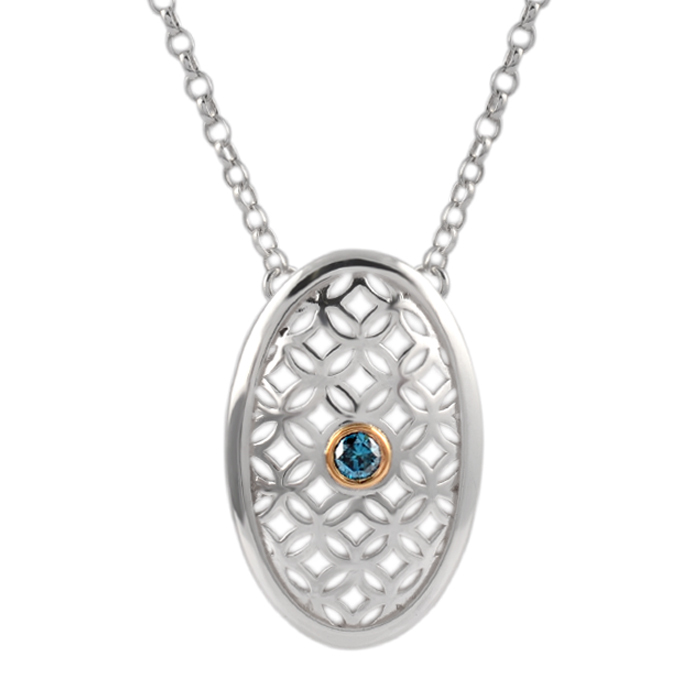 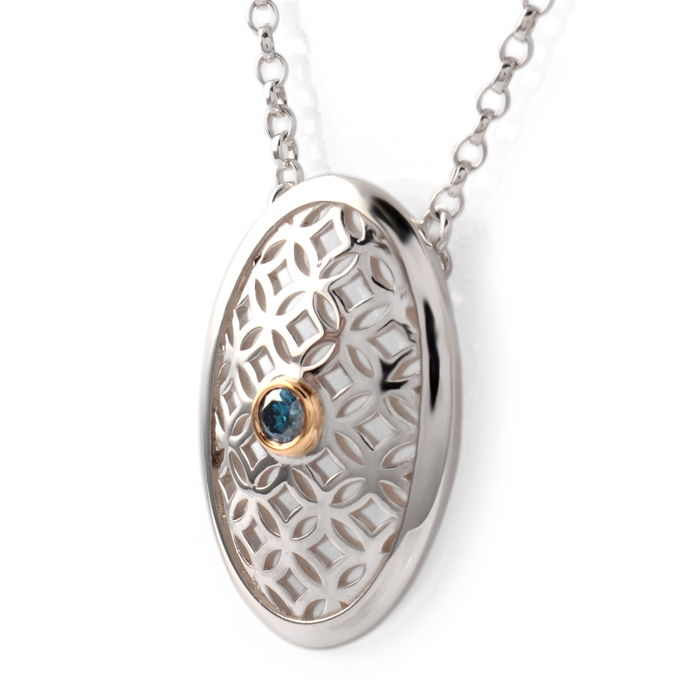 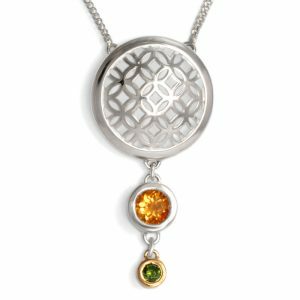 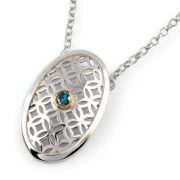 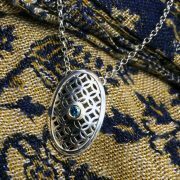 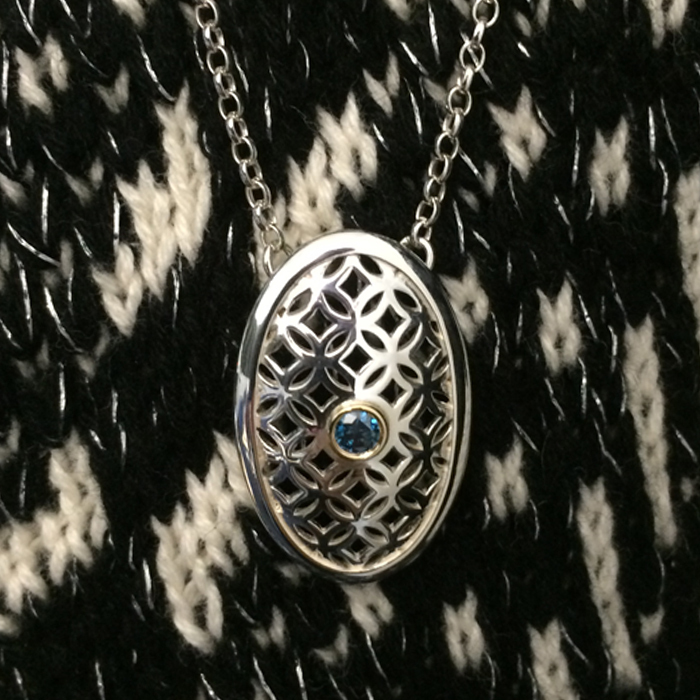 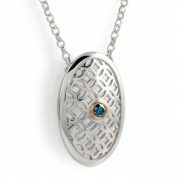 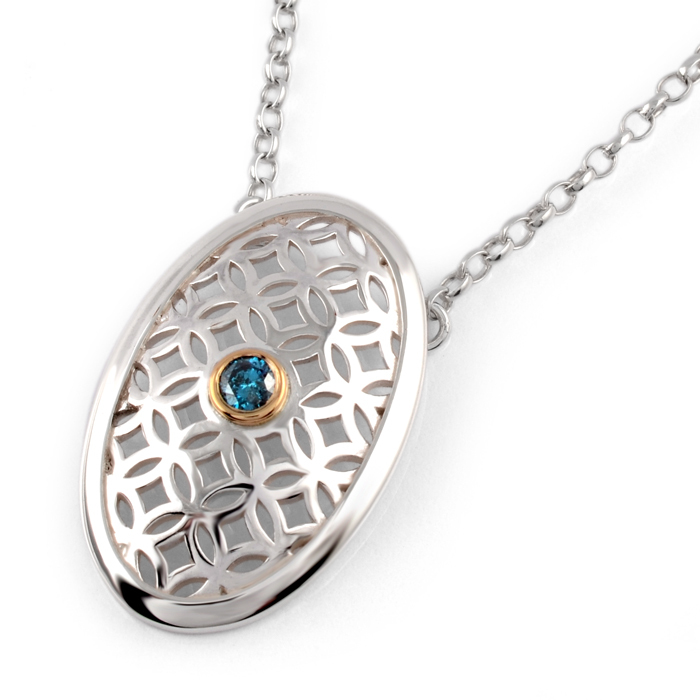 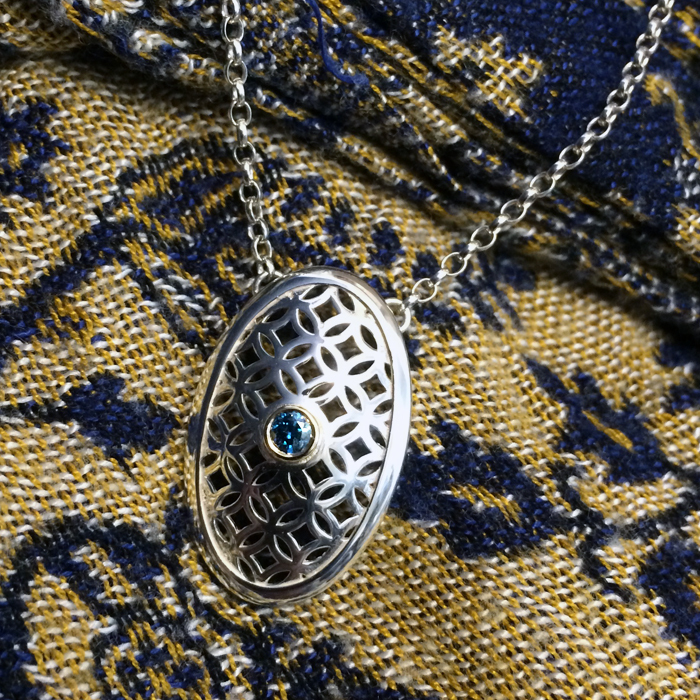 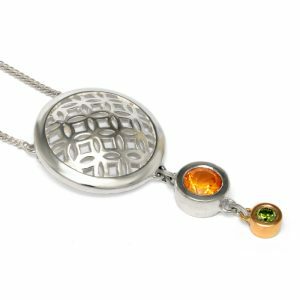 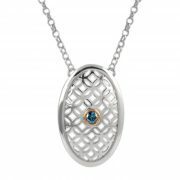 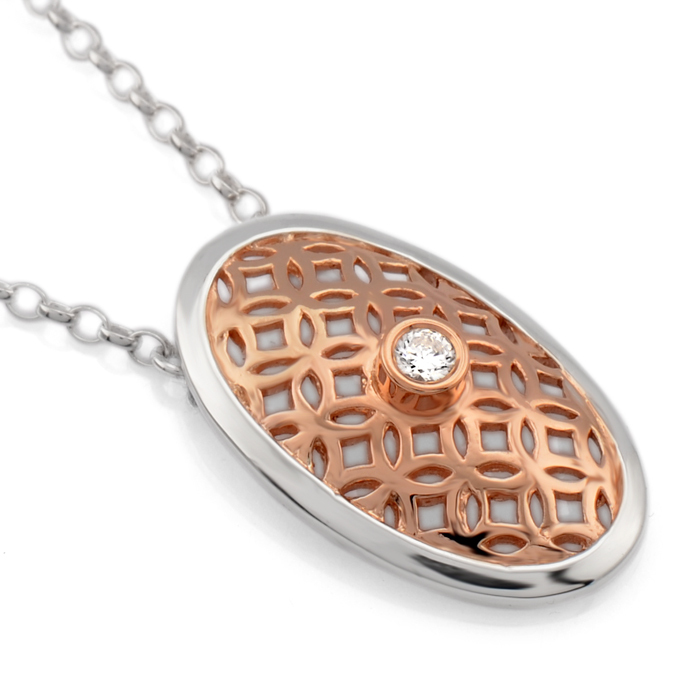 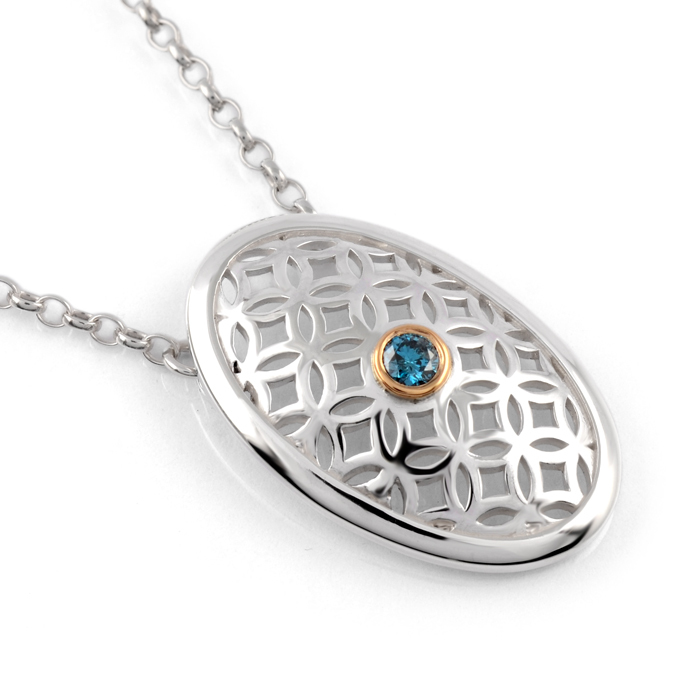 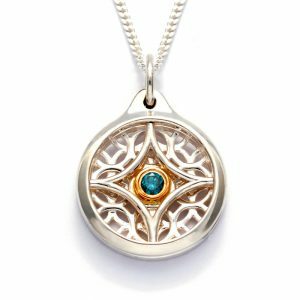 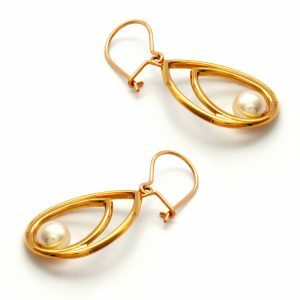 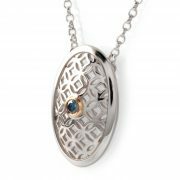 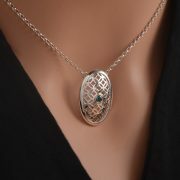 Oval shaped pendant featuring an outer rim containing a geometric pattern of interlocking circles with a domed profile. 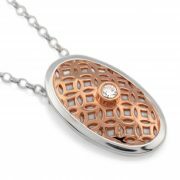 A 3mm/0.10ct round brilliant gemstone becomes the centre piece accented within a full bezel setting. 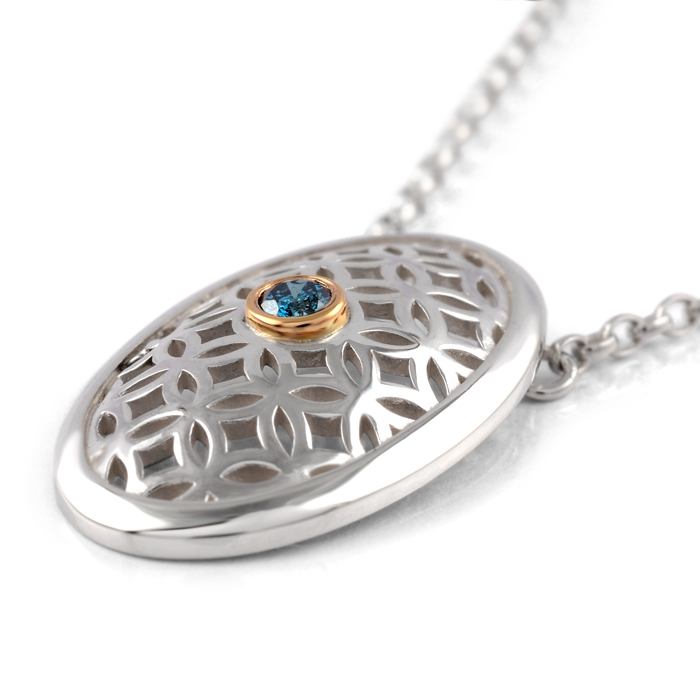 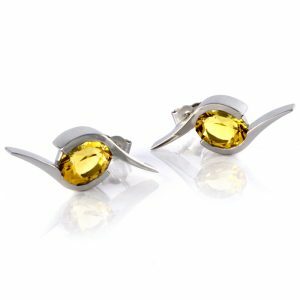 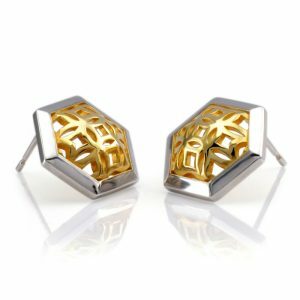 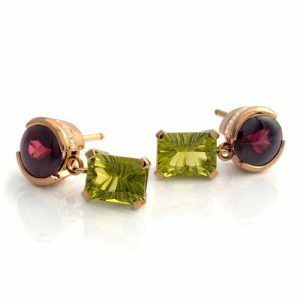 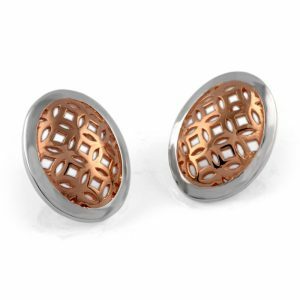 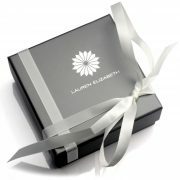 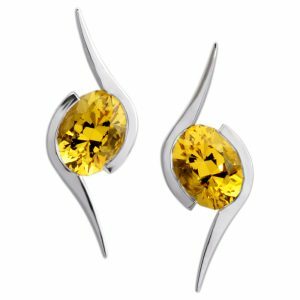 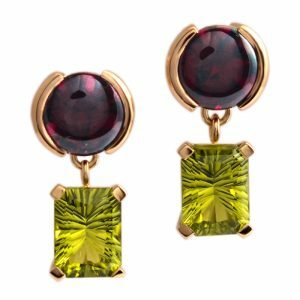 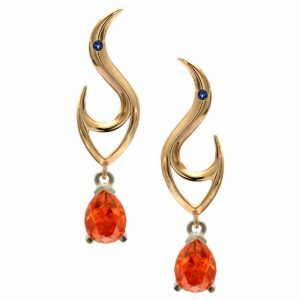 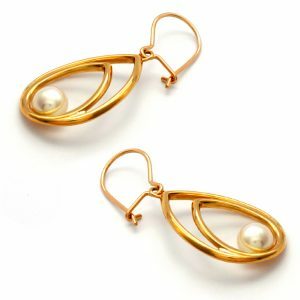 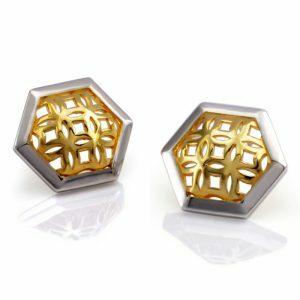 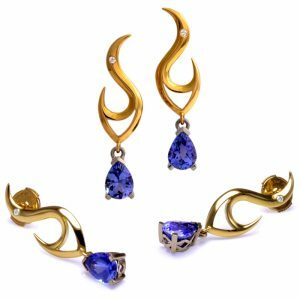 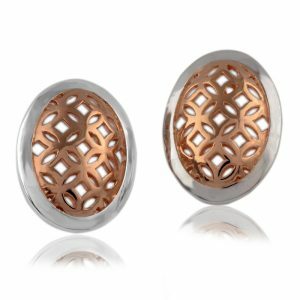 Pictured in polished sterling silver with a choice of gemstone, setting metals and/or selective gold vermeil. 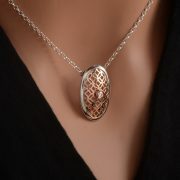 Features fixed sterling silver belcher chain with trigger clasp. 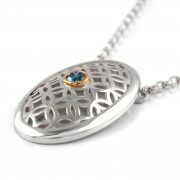 Dimensions: Pendant L 25 mm x W 16 mm x D 5 mm. 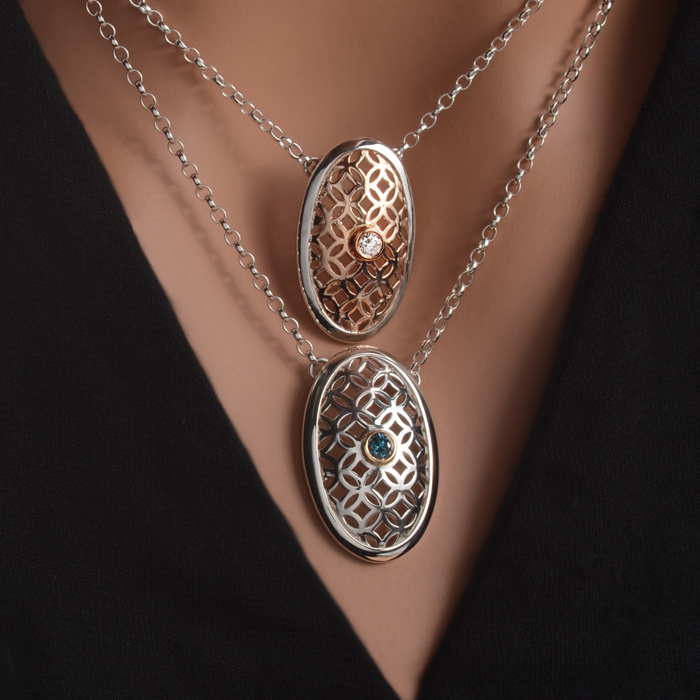 Please note all chains come with a fixed 2″ extender chain allowing the pendant to be wearable at various lengths.